Boris was a senior equity partner at Berrymans Lace Mawer LLP (BLM LLP), a national defendant law practice, before he left in November 2012 to establish BC Legal. Boris qualified as a solicitor and joined BLM in October 1998. He was made a partner in BLM’s London occupational disease team in 2000 and jointly headed the team for 12 years. 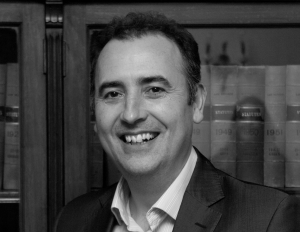 Boris has specialised exclusively in occupational disease claims throughout his 14-year career and has handled hundreds of such claims for a variety of insurer, corporate, local authority, NHS Trust and defendant clients. He has run in excess of 50 claims to full trial, including two cases to the Supreme Court - Majrowski v Guys & St Thomas’ NHS Trust [2006 UKHL 34], a claim relating to the Protection from Harassment Act 1997, and Baker v Quantum Clothing Group Ltd & Ors [2011 UKSC 17], which concerned NIHL claims. Both claims are leading judgments in occupational disease litigation. Boris is a recognised leader in the field and advises a numbers of insurer clients on cutting-edge litigation strategies, latent and both new and emerging disease issues. In the 2011 directory of the Legal 500, Boris is described as ‘great strategically and technically and had a notable success in 2011 in Baker v Quantum Clothing Group Ltd’. Boris regularly speaks on a variety of occupational diseases at many external client and industry seminars.